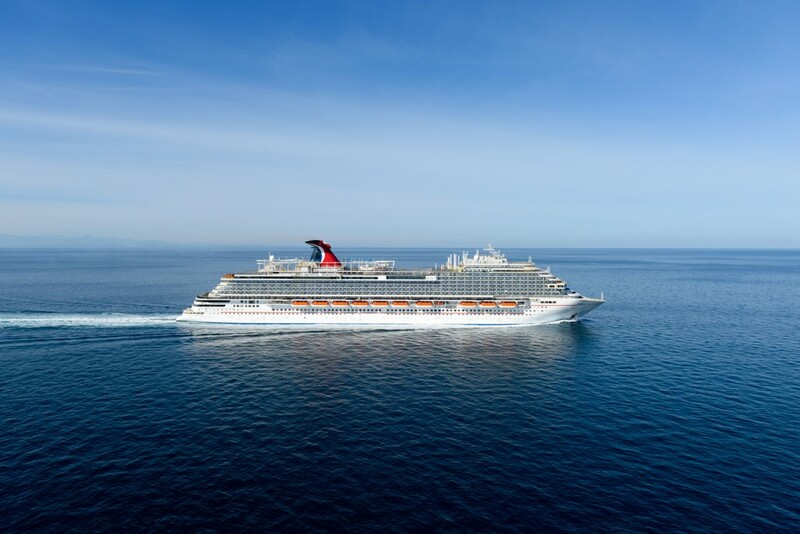 The Carnival Horizon was presented today at Fincantieri’s shipyard in Monfalcone to its ship owner, according to a press release. The ceremony was attended, among others, for the shipowner, by Micky Arison, Chairman of Carnival Corporation, and Christine Duffy, President of Carnival Cruise Line, while Fincantieri was represented by Giampiero Massolo, Chairman and Giuseppe Bono, CEO. The Carnival Horizon was built at Fincantieri’s shipyard in Marghera and is a sister ship to the Carnival Vista. The ship is 133,500 tons and 323 meters long. Fincantieri has built 81 cruise ships since 1990, 64 of which were for Carnival’s different brands. 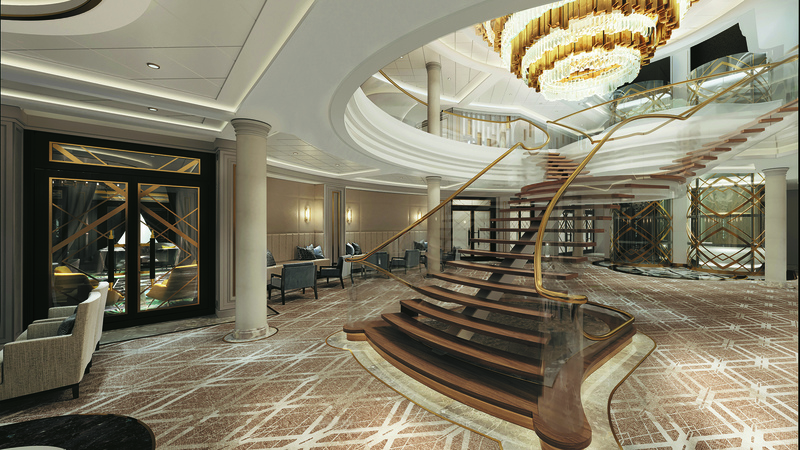 The grand staircase will be opposite the main entrance to the Compass Rose restaurant.Regent Seven Seas Cruises unveiled some interior details and renderings for the Seven Seas Splendor, the follow-on to 2016’s Seven Seas Explorer. The ship, due in 2020, will be much the same as the Explorer, but a few details have changed. Regent said that it has relocated the grand staircase on the Splendor so that it is opposite the entrance to the main dining room on the ship, the Compass Rose. The move will “evoke an enchanting sense of arrival for guests,” Regent said. Each Veranda Suite will be 207 square feet. Also, the Coffee Connection is moving to the port side of the ship and is being expanded with a new al fresco seating area. The Splendor’s Pan-Asian restaurant, Pacific Rim, will remain on the port side, offering guests an unobstructed view of the restaurant’s central sculpture from the reception area. 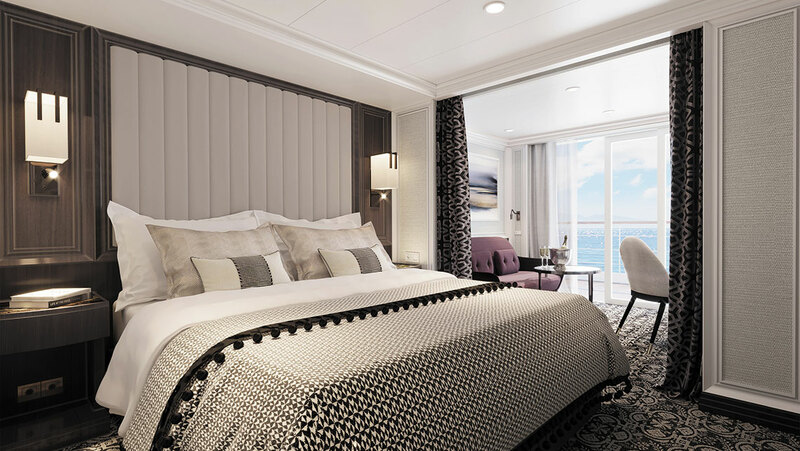 Suites on the 750-passenger Splendor range from the 307 square-foot, entry-level Veranda Suite, to the top end 4,443 square-foot Regent Suite. Knowing that Darian Lipscomb likes to cruise, Carnival dangled the possibility of a sailing on the new Carnival Horizon in exchange for the Snapchat rights to @CarnivalCruise.Who owns the Snapchat handle @CarnivalCruise? It wasn’t Carnival Cruise Line. Instead, it was a teen in Prospect, Va., who had been on four cruises and named his Snapchat after his favourite brand in 2012 when he was 9 years old. Needless to say, the social media handle @CarnivalCruise was of some value to Miami-based Carnival. But what would entice Darian Lipscomb, now 16, to part with the name? Carnival put on a full-court press, using its latest promotional tool, chief fun officer Shaquille O’Neal, on billboards and a mobile advertising truck, which it dispatched to Prospect. “Hey Prospect, Does Anyone Know Darian?” said the mobile ads, listing Shaq’s own social media handle as the place to respond. Knowing that Darian likes to cruise, Carnival dangled the possibility of a sailing on the new Carnival Horizon in exchange for the Snapchat rights to @CarnivalCruise. The day after the billboards hit the street, Carnival surprised Lipscomb in person at his home, to officially extend the invitation for him and his family to sail aboard the Carnival Horizon. Carnival has the @CarnivalCruise handle in time to use it to promote the Horizon’s debut next month in the Mediterranean. And Lipscomb will depart for Barcelona on March 31 for his first cruise in Europe. Carnival plans to make him the first passenger to board the cruise and promises surprises for the Lipscomb family throughout the voyage.